It’s become a way of life for so many and, yet, others say that it may not be the answer; so is carb-free really the way to go? If you feel confused about this aspect of dieting and nutrition, then you’re not alone. So many diets declare as fact that “carbs are the enemy”, so we think that we should avoid them at all costs. What these diets don’t take into consideration is the very real role that the right types of carbohydrates can play in our health. Though not all carbs may be created equally, eliminating them altogether may be cutting yourself short. If you have done the carb-free type of diet, then you know firsthand how difficult it can be. A lot of foods out there contain carbs, so it becomes very challenging to eliminate them entirely. So many people find that this isn’t as easy to practice in the long term. You may also find that if you eliminate carbs altogether, you feel hungry, tired, and even cranky. The reason for this is that carbohydrates help to give us natural energy that our bodies need. So when you cut these out of your diet completely, you are missing out on something very natural and necessary that this food group provides. What a carb-free diet doesn’t take into consideration is that there are some “good carbs” out there. So many of us are used to eating simple carbohydrates, which can admittedly be bad for your health. If you realize that white bread and related products, or those foods made with white flour or sugar, are the problem, then you’re ahead of the game. You want to replace these with complex carbohydrates, as they give you what you do need. They are full of fiber and nutrients, and they help to keep you functioning properly with some excellent benefits. If you have felt compelled to try the carb-free craze, it’s totally understandable: there are so many diets out there telling you that this is the way to lose weight. Most of us can’t eliminate carbs forever, though, so the results will be short-lived. The better answer is to focus on the right types of carbs to get all of the benefits without any of the drawbacks. 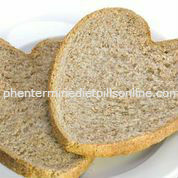 You want to switch to complex carbohydrates, such as brown rice, whole wheat pasta, and whole grain bread and cereal. This will give you what you need and help you to achieve your goals the right way! This entry was posted in Phentermine Use and tagged carbs, dieting, health, healthy eating, healthy weight, losing weight by editor. Bookmark the permalink.